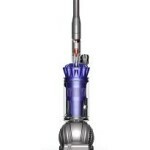 The Dyson V6 Trigger is pretty clearly the best cordless car vacuum cleaner, but it has a higher price tag than the other models to go with it. It has two power levels you can use it on, with the standard power level giving about 20 minutes of vacuum time, long enough for the typical car cleaning job. And definitely strong enough too. The V6 Trigger comes with both a straight nozzle and a brush attachment for breaking up dirt in your car's carpet, and also works with any of the add-on attachments in the Dyson Handheld Tool Kit. 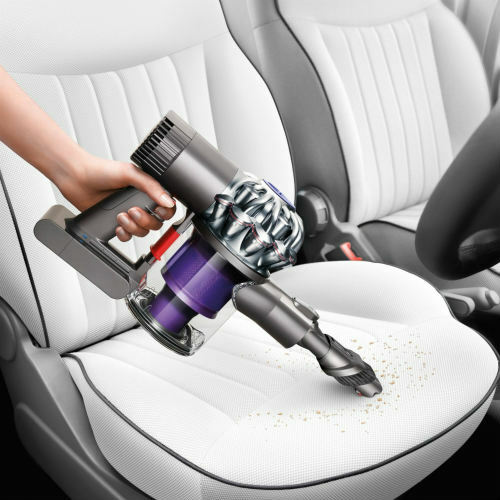 Car vacuum cleaners come in a number of different variations, each with their pros and cons, and as a result finding the best car vacuum cleaner depends a lot on your personal preference for which of these styles is most convenient for you. For example, cordless car vacuum cleaners are popular with some people for their easy maneuverability, but of course you’re running off a battery with them and thus typically sacrifice some suction power. 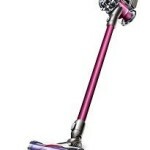 While there are a couple of newer models by Dyson (e.g. the V6 Trigger, pictured at right), Black & Decker (the Dustbuster is a classic choice and the newer Pivot is a stronger and yet slightly cheaper option), and Eureka (the EasyClean has long been an affordable option with good suction power) that achieve pretty good suction, you still have the downside of getting only 10-20 minutes of usable vacuum time before you need a recharge. Though that’s typically long enough for most people to vacuum up their auto’s interior, you are still of course somewhat tethered to a charging station that requires a standard outlet. Other people prefer mobility and want to simply store their vacuum cleaner in the car itself, with the ability to use it anytime while they’re out and about with no access to a normal outlet. For these consumers a 12 volt corded car vacuum is the best option, as they can run it while plugged in directly to their car’s cigarette lighter. While it has corded power, a 12-volt cigarette lighter isn’t going to provide maximum power by any stretch, yet with the right model (like the B&D Pivoting Handheld Kit or the B&D Flex Auto Vac) you can definitely beat out some of the lower-end battery-powered car vacuums. Finally, some consumers typically only have need to vacuum out their car interiors from the garage or driveway, with a power outlet relatively nearby. 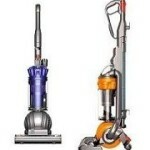 For these consumers the most suction power and longevity is available by using a corded vacuum, usually either a ShopVac-style vacuum or a handheld like the Shark Rocket Corded Hand Vac. 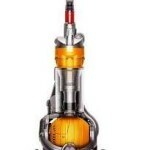 Which type of auto vacuum cleaner do you think suits your needs best? Whether you decide that you prefer cordless, 12-volt cigarette lighter corded, or regular corded, we have assembled a comparison table below of some of the best car vacuum cleaners on the market today. Hopefully it provides you with the quick information you need to help you make an informed decision. Before you decide on one though, remember this quick tip: automotive interiors are often carpeted with dirt and debris getting stuck in the carpet fibers. 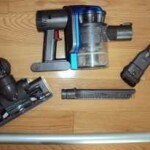 Look for a car vacuum that at least has a brush for loosening up the dirt from the carpet fibers as you vacuum. Ideally, a motorized rotating brush does the job best, but those are often only available in corded models due to the extra power it consumes that would otherwise be used for suction. It’s hard to find a motorized brush in a 12-volt corded car vac, but the Black & Decker models do come with good brush and hose attachments for breaking up dirt. We don’t yet have a video review of the 20V Black & Decker MAX Lithium Pivot vacuum, but we do have one for the 18V Pivot Vac PHV1810 model, which you can see below or read our full in-depth review of here. You may also be interested in our in-depth review of the Black & Decker Dustbuster CHV1510. Keep in mind that the 18V Pivot Vac and Dustbuster do not have a lithium-ion battery like the 20V MAX Pivot, which makes the MAX Pivot a much better choice for the long run, albeit at around twice the price. 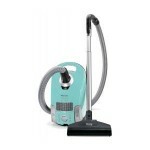 The Eureka 71B EasyClean Handheld is a great little corded vacuum cleaner. From a strength-to-size ratio it is tough to beat. It features a 5.5 amp motor, strong suction relative to other handheld machines, and a 20 foot long power cord for easier maneuverability. 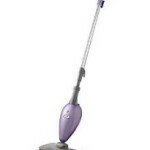 It’s a popular little vacuum both for its price and its power, and one of Eureka’s best models. If you’re interested in a cheap corded handheld car vacuum, it’s a good option. 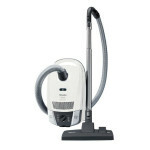 Read our full in-depth review of the Eureka EasyClean here. 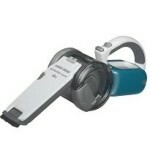 This Shark Pet Perfect II is Shark’s smaller handheld designed to clean pet hair and other pet created messes. It has a motorized brush, which some people look for in a car vacuum cleaner, and is cordless, but keep in mind that the motorized brush when in use will take away from some of your vacuum time as it drains the battery faster. Read our full in-depth review of the Shark Pet Perfect II here.